The Petzl Tikka has a lot of what we feel is most important in a light: a quality design that will last for years, super-easy to use, and lighting power that will meet most people's practical needs. At $30 list, and often available for less online, the Tikka is reasonably priced too. The main problem we have with the Tikka, is not the Tikka itself, but it's little brother, the Petzl Tikkina, which performs better overall for 33% lower price. Unless we needed the red LED light offered in the Tikka, which can help as a great nightlight in the tent for younger kids or for astronomy fans who want to preserve their night sky vision, the Tikka just doesn't justify $10 higher price over the Tikkina, which offers nearly identical performance, and is even easier to use, for less money. And, if even if we did need the red LED, and if weight and packed size were concerns, then the Petzl Zipka selling for the same price, but taking up less room in your pack and weighing 24% less, is a better choice. As a result, the Tikka is a bit wedged in between two lights from the same company, that offer compelling offerings. There is so much to love about the Petzl Tikka that we find it regrettable to confess we feel most people should buy one of the sister products, either the Petzl Tikkina that offers similar performance for 33% lower price (but without the red LED), or Petzl Zipka which sells for the same price and offers the exact same lighting features & performance, for 24% lower weight and smaller packed size. The trail finding score was OK in general but pretty poor compared to top-performing lights that also list for $30, such as the Black Diamond Spot. But, the Spot is 0.8 ounces heavier (25g) and doesn't pack as small. A more fair comparison is probably looking at the Zipka versus the Black Diamond Ion, which is similarly small and slightly 0.4 oz lighter than the Zipka. As you can in the beam comparison images below Zipka offers a much brighter and wider spotlight beam than the BD Ion. The Zipka is below average in its flood mode lighting, with a score 4 of 10. While it is perfectly functional, it lacks the wide even lighting of the BD Spot or the ultralight e+LITE. By design, the Zipka is one of the lighter headlamps, although certainly not the lightest. The Zipka is quite easy to use and has the same intuitive one button activation as the rest of the Tikka line. However, the string headband makes it hard to use when wearing gloves. In addition, you should be careful if you plan to use this with a climbing helmet. Without a wide elastic headband, the Zipka does not attach as well to helmets. Also, if you're running and bouncing, it's not as easy to get the Zipka really cinched down hard around your head. The Zipka is at its best for an application like a 3-5 day backpacking trip, where weight and size matter, but so much as to mandate the most ultralight solutions like the Petzl e+LITE. For a weekend backcountry trip, the Petzl Tikkina or BD Spot might be a better choice, since they weigh only a little bit more, and offer much superior performance as a general purpose light in the long-run. In the current headlamp market, $30 is a price that needs to deliver a lot of performance. The Zipka is kind of a special purpose solution, in that it is not the light we'd choose for general-purpose use, which means buying it involves a compromise on performance in the long-run, to gain its lighter weight and smaller size. The beam power and other lighting metrics are just not that impressive for the price of this light. It the size and weight of the Zipka meet your needs, then it might be a good solution. 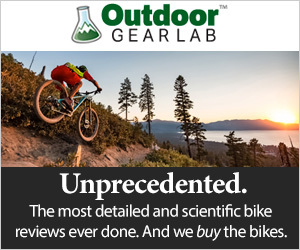 But, we see it as straddling two worlds — not light or small enough for the ultralight backpacker, but not offering enough performance to be a good option for general purpose use (and the occasional backpacker, who does shorter trips, might not be so obsessed with weight and size to want to make the Zipka their primary headlamp).